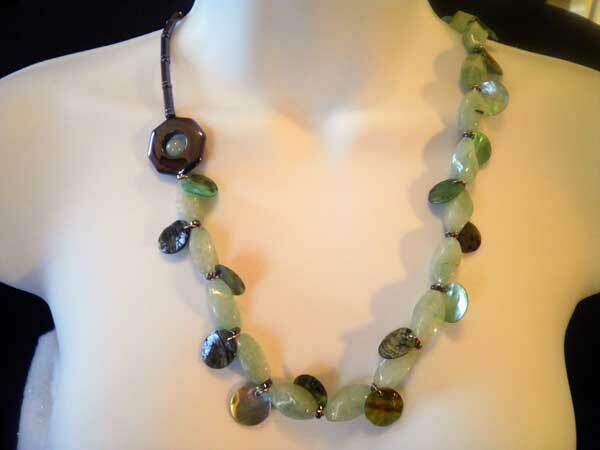 Surround yourself in hematite and adventurine in this lovely 25 1/2" piece. Between each twisted adventuring oval I've dangled beautiful shell rounds in the same hues as the stones. I love how the straight-lined simplicity of the hematite contrasts with the fun, haphazard look of the shells & stones. Enjoy!